Strogn4Health is fitness brand that promotes a strength training as a foundation for a healthy lifestyle. Human mankind has evolved through “movement lifestyle”. Walking, running, climbing, jumping, crawling and other biomechanical actions were the main part of our daily routine. Today when life is primarily sedentary orientated, a need for strength training is bigger than ever. You don’t need to be a professional athlete or live like one, just reintroduce basic movements into your lifestyle on daily basis. Practice those outside, at your home or in the gym, it is up to you. Our purpose is to help you filter all “new age” fitness bull*hit and choose movements that actually will help you in long run. Tips you will be given will be science-based, easy to understand and to follow. Milos Provcin from Zagreb, Croatia is the creator and the main author of a Strong4Health brand. With a masters degree in Kinesiology Milos works as a personal trainer, online trainer and strength & conditioning coach. His passion is to help people who need guidance to change their lifestyle and live a healthier lifestyle. He is a great advocate of strength training as the main tool for achieving better health and body composition. In the free time, Milos enjoys reading, writing, being in nature, and watching superhero movies on the rainy days. 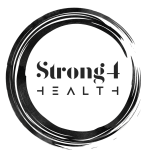 We would never compromise You in any way or the integrity of Strong4Health brand by referring to a product we don’t find to be high quality and safe. Most of the products we will recommend are self-tested and used by ourselves. The one that we didn’t test are well researched. Any profit will be reinvested in the development of Strong4Health so we can help you even more and extend our reach. Thanks for supporting our work and investing in further development of a Strong4Health brand.